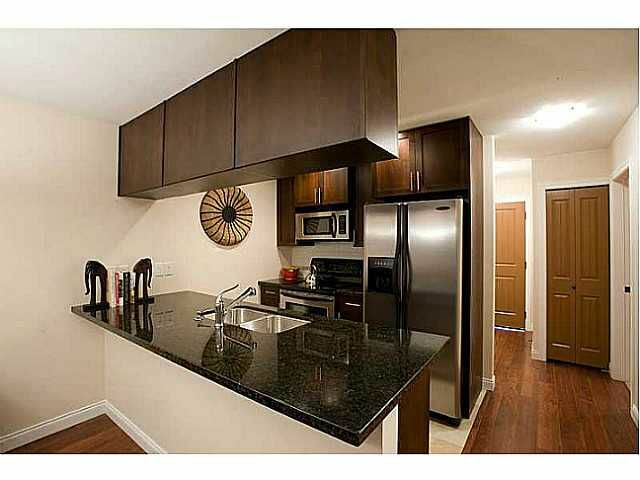 Spacious & elegant 1 bedroom + den condo in popular Paddington Station in Langley City. Priced below assessed & appraised values and Kids & pets welcome. Save gas & time; short walk to town with great food, pubs, casino, parks, shops & services. Well managed, 3 year old building has low strata fees, fully equipped gym, library + amenity room and still has the remainder of 5 & 10 year warranty. This second floor unit is located on the cool, quiet side of the building and is in Pristine condition boasting Impressive luxury features like granite counter tops in kitchen & bathroom, quality stainless steel appliances, air conditioning, fireplace with luxury wood mantle, huge, walk in storage room/pantry, automatic floor level lighting in bathrooms, secure underground parking & a covered balcony. Bigger, better & more affordable than comparable new units. Available for Immediate occupancy.